The night definitely started with a bang. 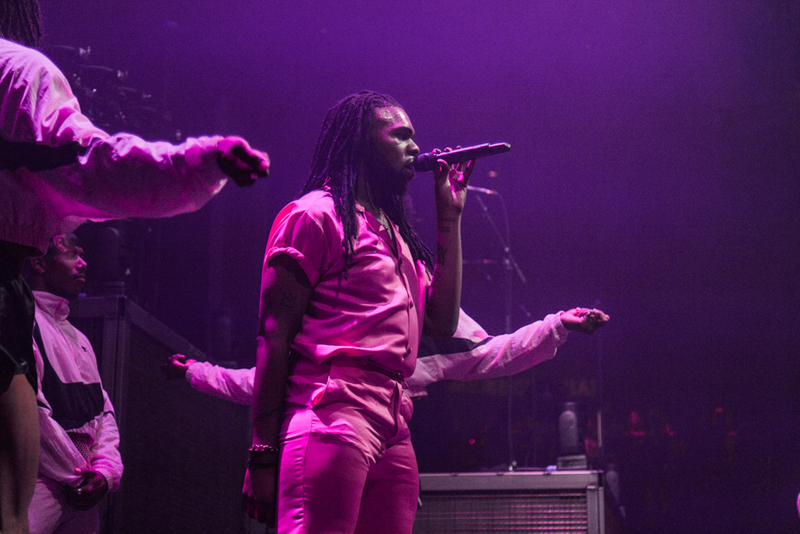 A pink clad, fine-voiced bang, in the form of pop artist, MNEK. Joined on stage by a group of monochrome, athleisure dressed, dancers and three shining back-up singers, the artist, known for his tracks ‘Never Forget You’ and ‘Ready For Your Love’, proudly announced that the night was going to be very gay. 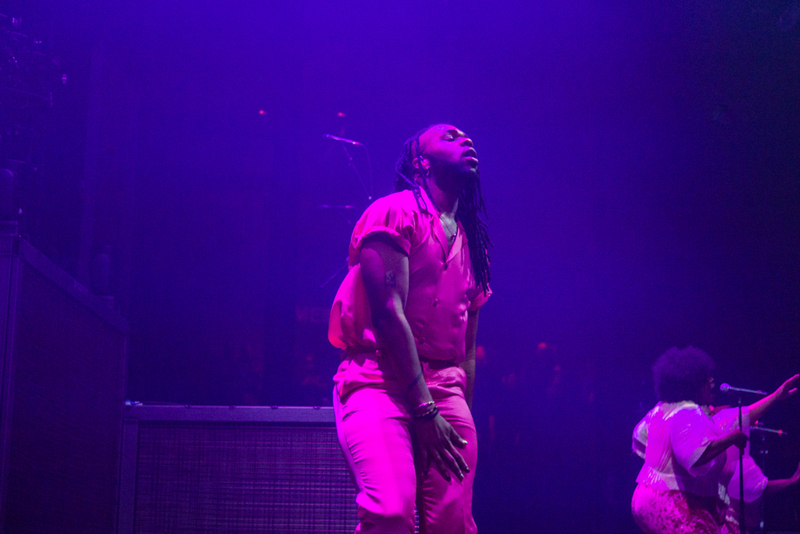 MNEK owned not only the stage but also the crowd. His performance was queer and fabulous, igniting the excitement within the audience for the upcoming headliners. His confident and entertaining performance hyped everyone for Years & Years. Not knowing his music so well, I was shocked by his amazing vocal range and power. Surrounded by appreciating fans, I could tell his set would be top notch; I was not let down. Shortly after, the crowd were awakened and drawn into Years & Years’ Palo Santo; the title of their album and the name of the dystopian world that the band have created. Even the technical team were wearing Palo Santo jumpsuits, creating the whole experience of being in Palo Santo as the band had intended. Emre Turkmën and Mikey Goldsworthy, the multi-instrumentalists of the band, emerged first and onto their platforms above the stage, taking comfortable refuge behind their instruments where they would remain for most of the show. The stage erupted with a dramatic entrance from Olly Alexander the lead singer of the band and an accompanying dancer. A running theme through the show, as you may notice, everyone was exquisitely dressed. Beginning their descent of the staircase in the centre of the stage to the tune of Sanctify, the band’s first single from the album that shook the pop world and brought Years & Years back to the spotlight. The show this Tuesday in London’s Roundhouse is one of the first concerts with a setlist sporting new tracks. 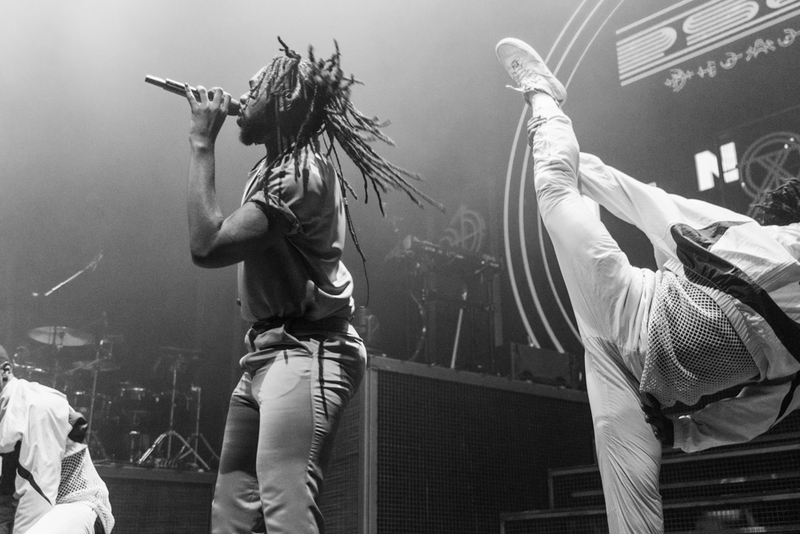 The band’s excitement emanated across the crowd as they put on a show to remember. Dancers graced the stage in vigorous and exciting routines with the dance from If You’re Over Me’s music video making an appearance. Possibly the highlight of this queer show was Olly’s ascent above the stage on a platform in front of an image of the moon. He wore a glistening 20ft (at least) cape that flowed and made the whole experience seem magical as he sang the titular track, Palo Santo. The whole show was a theatrical display of passion for the music and the world that the band have spent the time between now and Communion, their debut album, creating. Years & Years are bringing an exciting and fresh perspective to the pop genre at the moment with Bowie, Gaga and Prince driving the realm of possibilities and frontman and general babe, Olly Alexander, making these a reality.